We have just completed the sale of our house in Spain and recommend START GROUP to anyone thinking of doing the same. From the first visit they were friendly, professional, efficient and always available to provide answers or give advice. It made what can be a difficult process stress free and as their promotional material says they really were with us from the Start right through to the Finish. Very proud owners of our new Spanish property!! I hope all is great with you, I’m going to have to start taking Spanish lessons now that we are the very proud owners of our new Spanish property!! I just wanted to say thank you so much for everything you have done for us, all the help and guidance right throughout the whole experience and process, you really gave us such comfort and confidence it was all in good hands and going to work out and we will be eternally grateful to you. I’ll contact you closer to the time we are arriving in Spain to make arrangements to pop in and see you and pick up keys. In my prosess of buying a property in Spain, Costa Del Sol, a friend of mine recomended to get in contact with StartGroup, which I did. They were not like the rest of ther Real Estate agents I had been in contact with before. Jennifer at Start Group became my agent and she seemed polite and serious in her job so I decided to go with them. They showed me a variety of properties when we came to Calahonda to check it out. They showed us the variation of location, size and prize within our budget and list of criteria, and adviced us in the process. They helped us to get in contact with entrepreteurs to do the things we wanted to personalize our apartment. They also put us in contact with an excellent lawfirm that helped us in a profesional way regarding all the paperwork needed in the process. Best service ever, thank you Jennifer and StartGroup. 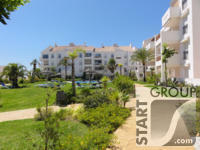 Hello, we want to thank Start Group, for the full and correct support, with the purchase of our apartment in Calahonda. Super sevice !! 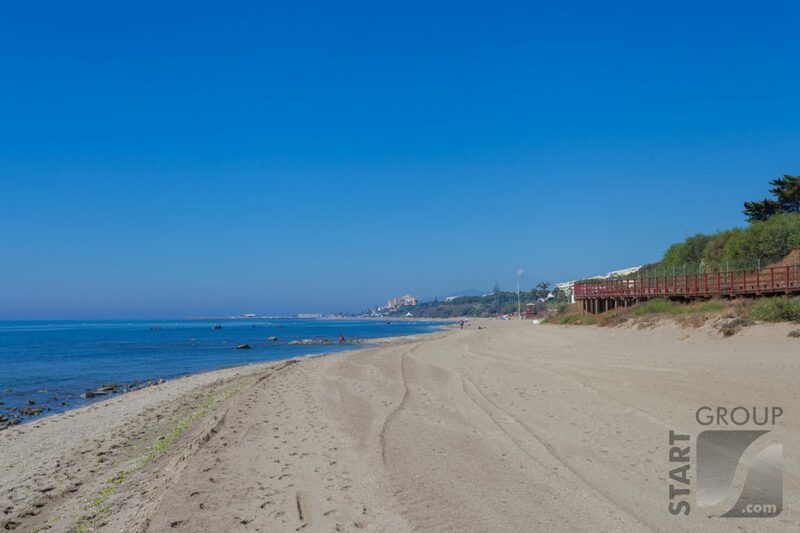 With reference to the recent property I purchased in Mediterraneo – Calahonda, as you know I ran the ‘Gauntlet’ of Real Estate Agents, a term I use loosely as I found most generally speaking to lack professionalism. The ordeal of having to deal with the mediocre Agents was a frustrating affair even though I gave precise instructions to assist them in the search they sadly DID NOT LISTEN to what I was actually looking for. My search went as far as Casares, Estepona, Manilva, Le Duquesa to the West of Marbella and to the East of Marbella including Elviria, Cabopino, Calahonda, Mijas Costa, Mijas Golf and Mijas Pueblo but again nothing suitable was found simply because the Agents (Multiple) were showing apartments which just did not meet my criteria. It was by chance that I came across Start Group with initial contact made with Dave who did not apply any pressure, the next day Arno made contact and I briefed him on what I wanted. Arno was put under pressure by me as the property I was searching for was not to be a ‘Rental property or a pure ‘Investment’ but it was /is to be for me to retire in to and therefore it had to be ‘Right’. He showed me several properties which all held numerous aspects of suiting my criteria but they did not posses that certain ‘Feel’ which you only find when you walk in the ‘Right’ property. Through continued perseverance they found exactly what I was searching for…My little piece of Heaven, I immediately fell in love with the place and made an offer which accepted and again. StartGroup provided me with expert Market knowledge while undertaking this process. 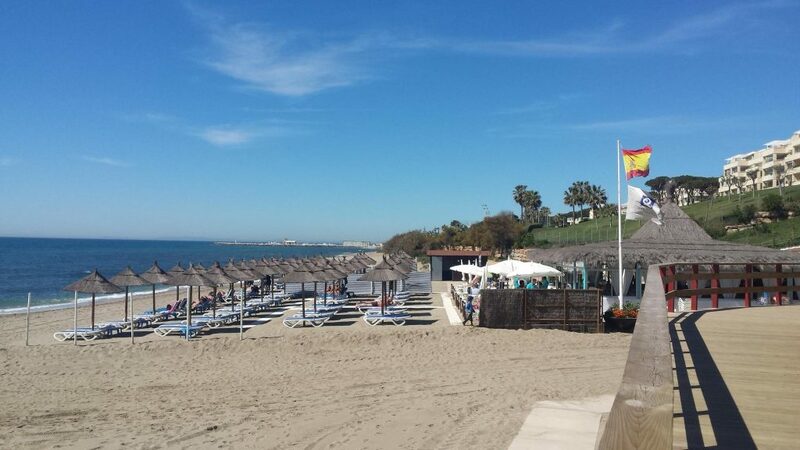 To those who are serious about finding their ‘Little piece of Heaven’ in the Costa Del Sol, I can without reservation highly recommend StartGroup to help you with your search. It took just 3 weeks from viewing our dream property, to moving in! The service we received second to none. It took just 3 weeks from viewing our dream property, to moving in! This was due to the expert and professional help given by Pascal van der Woude from Start Group. Pascal made the transaction smooth and easy, even introducing us to his recommended solicitor, who helped us through every step of the way. 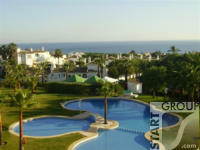 We would wholeheartedly recommend using Start Group to anyone thinking of purchasing a property on the Costa del Sol. We’re just back from a week’s holiday in the Calahonda area and you might recall this trip was primarily to take a look at the area so we could compare it to the Costa Blanca. While we didn’t intend to look at properties, we happened to walk past the Start Group offices while shopping and decided to go in for a chat. 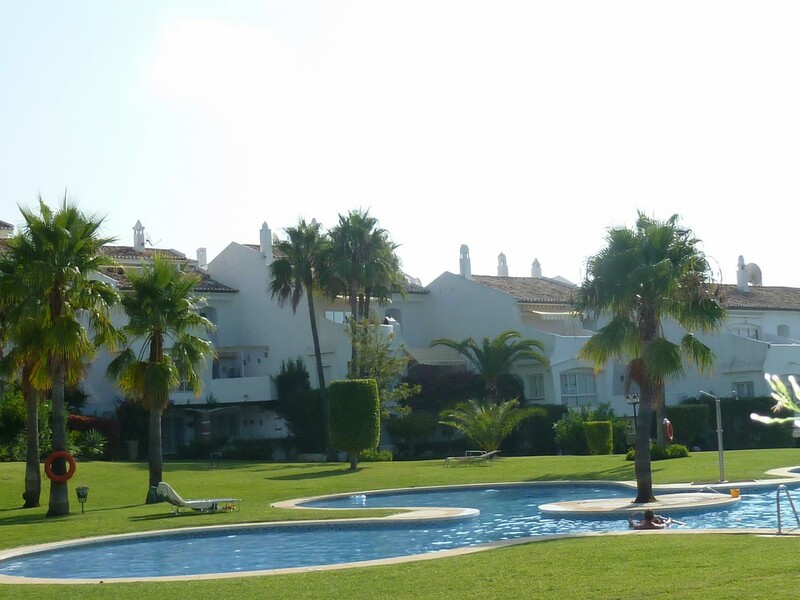 We met with Jennifer Fogelberg who was extremely helpful and she suggested we might like to take a look at a number of properties while we were in Spain. While Jennifer knew we were not yet ready to purchase a property, she still offered us the opportunity to view a selection of properties. 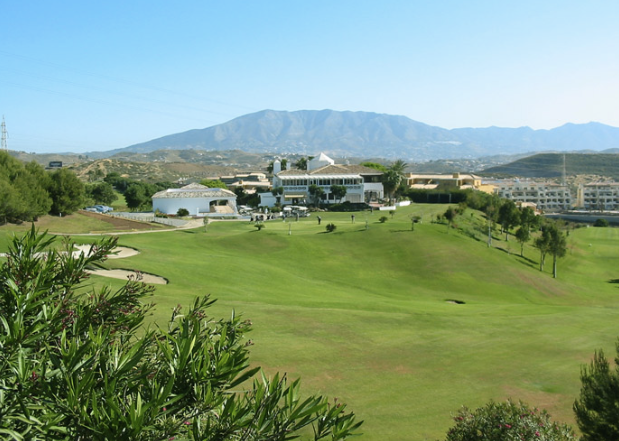 This has given us a much clearer view of the type of properties we can consider against our budget and we have now been able to narrow down our search to one area in the Costa del Sol. Your recommendation has allowed us to establish a relationship with the Start Group and I wanted to let you have some feedback so you have a confidence in recommending the Start Group to others. I’m not sure if you will be attending “The Place in the Sun” exhibition in Birmingham on Saturday – we will look out for your stand. Once again, thanks so much for your help. StartGroup sold our apartment in May 2016 to the first viewing we had. They also have been very helpful in finding us our dream villa, which took 5 months, nothing was too much trouble. Our thanks to Christofer, Jeremy & team, we thoroughly recommend them. I was very pleased and satisfied with the service I received from Start Group and Christofer Fogelberg when I bought my property in May 2015. I felt this agent was different from many that I have dealt with before. In a lot of cases I was shown properties which did not meet my requirements and a lot of time was wasted. However, I felt Christofer listened and has a complete understanding of what I wanted. Nothing was too much trouble. I felt he was passionate about finding the perfect property for me. Always helpful and professional with a personal touch from start to finish. His knowledge of the area is also outstanding! I would highly recommend this agent to anyone who is looking for a property. No need to look anywhere else. They take care of everything, even offer excellent after sale service. As a new home owner in Spain, it is re-assuring to know that they are there to assist you with all your household needs. I would like to write a little “bragging” letter to Jennifer in StartGroup, in connection with the purchase of our apartment in Miraflores, Ocean Golf Riviera. My wife and I had long considered buying an apartment on the Costa del Sol and submitted some requests with regards to ads on Finn.no, to several real estate agents in Spain. Among many responses, including from Jennifer at StartGroup, I chose 2-3 real estate agents. Meanwhile, I had been in contact with some neighbours of my parents here in Norway, which gave me a recommendation on a trustworthy and clever agent, which I should contact. 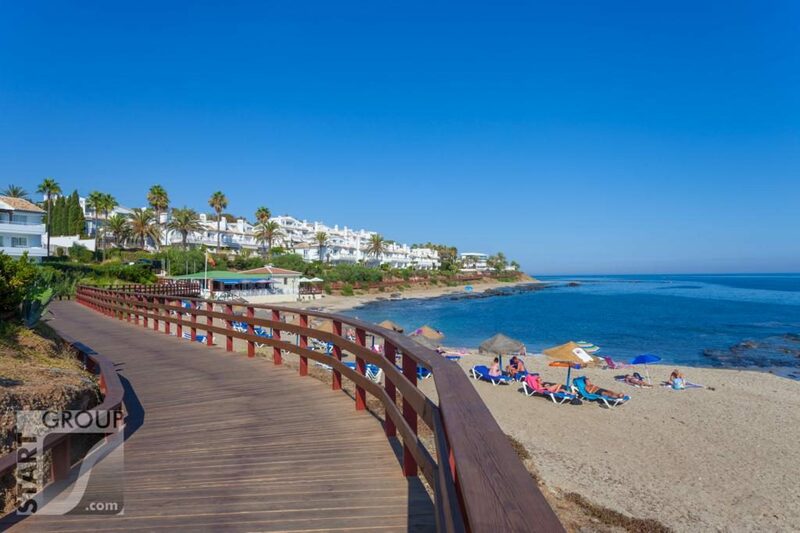 It was this agent that they used to buy an apartment and this agent also had a cooperation with a Norwegian lawyer, so that the buyer could feel safe with a purchase on the Costa del Sol. Then it turned out that the real estate agent they recommended, was the same as the one I had picked out, StartGroup. Would just like to tell, how wonderful it is to fulfil a dream of buying a place in Spain and all thanks to Jennifer and StartGroup, they have made this dream a reality. StartGroup started with finding out what kind of needs we wanted, house/apartment, number of bedrooms/bathrooms, size of terrace, location, pretty much everything that we had desired. Based on these criteria, Jennifer found many apartments to view, together with what few we also had picked out. We agreed on a date for viewings and within two days the decision was taken. We found a wonderful apartment. Jennifer had done an excellent job in advance and with her positive and honest conduct, this was an amazing experience. Jennifer showed us around the area and in addition to the apartment purchase, helped with tips on a place to buy furniture and during the entire process has been helpful with a helping hand when we’ve wondered about something, also afterwards. 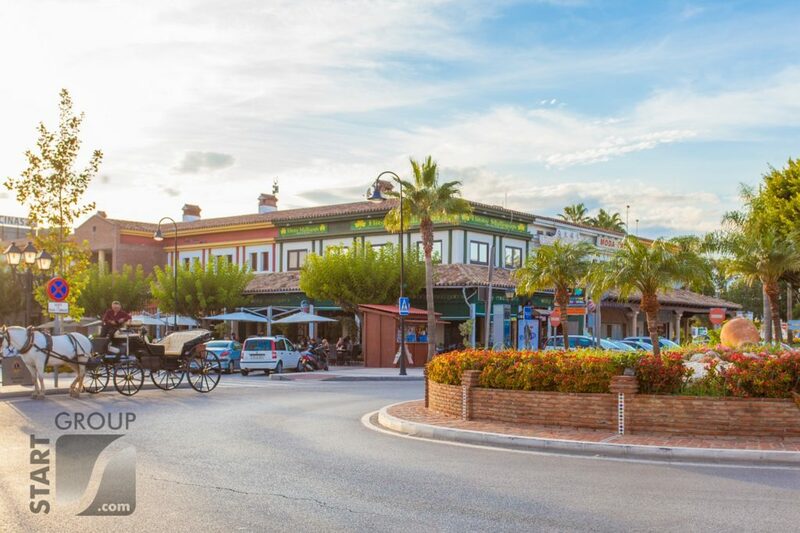 They recommended Cramer Lawyers in Tønsberg, with a Norwegian lawyer based in Fuengirola. And here everything has gone smoothly, from A to Z. As Jennifer told us, when we wondered how we would get to a purchase, she said that the hardest thing in this process was to find a proper apartment. And it’s true!! We have now well settled into our apartment and can recommend StartGroup to anyone considering a purchase on the Costa del Sol. StartGroup is a trustworthy and highly skilled real estate agent, which puts the customer in focus and gives 100% support, also after the purchase. We bought a bank repossesion in Riviera del Sol from StartGroup. After being on summer holiday on the Costa del Sol for 3 consecutive years, we decided to go ahead with the purchase of own home in Spain. During the Autumn of 2014 we spent countless hours in front of the computer online, looking for that perfect vacation home. We decided on some criteria that were important to us in our new home and made a list. For example, price/budget, location, size, view, swimming pool, etc. Due to the vast amount of properties on offer from sellers and real estate agents a like, we became quite confused. Fortunately, we received a recommendation from acquaintances in Norway, that we should contact Christofer Fogelberg at StartGroup. We were told that he was a serious, competent and reliable real estate agent. We contacted him via email and got an immediate response. He received our list of criteria and lists we had made with potential relevant properties. He came back to us with feedback with regards to our lists and in addition, he came with additional realistic and possible options. We agreed on a date for viewings right before Christmas. Christofer gave us a very warm welcome and had planned the house viewings very carefully, so that we could get a look at all of the homes during one day. It turned out that many of the ads we had seen online in advance, were quite different when seen in reality. With help from StartGroup and a recommendation from Christofer, we are today happy owners of a holiday home. The acquisition was not particularly easy, as the property was a bank repossession. We wish to thank Christopher for his patience and good help throughout the entire purchase process. We felt right from the start that we were confident in him and felt safe and cared for throughout the entire purchase process. He possesses a lot of knowledge and history of the region and we would give our highest recommendations to anyone who is in the same situation as we were. Finally, we would also like to thank the rest of the gang at StartGroup for good assistance. 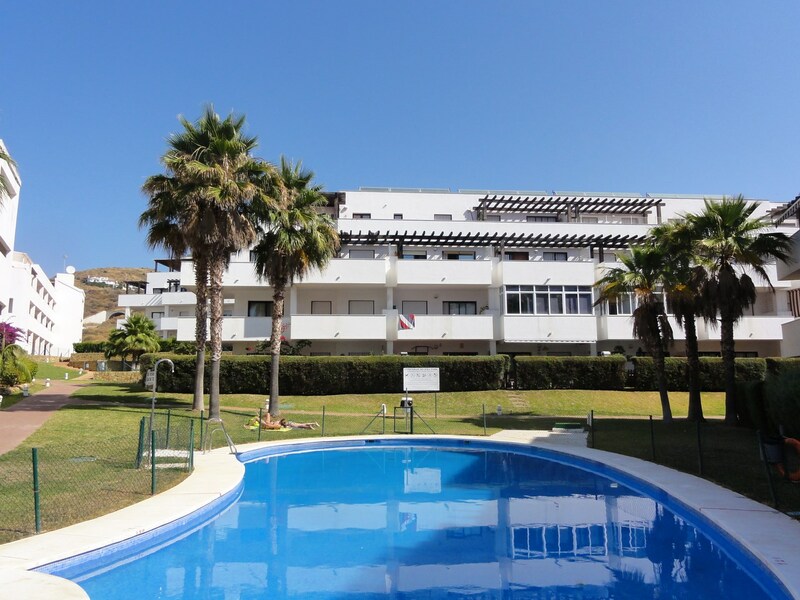 We bought an apartment in Calahonda through StartGroup in January 2015. We had got recommendation from some colleagues that Startgroup did a great job for them. We bought an apartment that needed to be renovated and asked Startgroup to facilitate the renovation. They were very helpful, professional and service minded and everything have been according to our expectation and even better. The workers they use have done excellent work and when we had some minor remarks they fixed it right away. StartGroup have also helped us with other issues such as internet and TV, got us in contact with lawyers and bank, recommended stores for furnitures etc. Their slogan “From Start to Finish” is not just words. 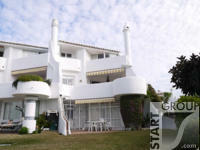 I will definitely recommend to use StartGroup if you are looking for a property in the area around Calahonda. When we had decided to purchase our own apartment in Spain, we prepared a list with all of our wishes and sent this to several real estate agents in Spain. We spent many hours on-line and had studied the market. Following a recommendation from my brother and sister-in-law, we contacted StartGroup and Jennifer Fogelberg in November 2013. She had earlier that same year helped them buy their dream villa in Calahonda. We agreed on a tour for viewings in December 2013, where we were warmly greeted by Jennifer and her structured viewing program for those days that were allotted. She guided us through 16 apartments of varying location and facilities. Eventually we found the place we wanted to establish ourselves and that was in Riviera at Golf Gardens. 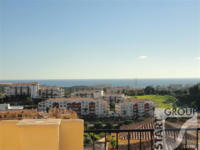 A wonderful apartment with spacious rooms and beautiful terraces in an established residential area built in 2005. The agreement was drafted and lawyer Brit Johansen was contacted for the completion of all the formalities. Everything went smoothly – without any problems or unpleasant surprises. Even after a safe and predictable purchase process, StartGroup was very willing and able to assist with practical advice and with good contacts which was of great help to us in a foreign country. We have met a number of Norwegians who have the same positive experience with regards to working with StartGroup. We thank StartGroup and Jennifer Fogelberg for an excellent job well done. We can strongly recommend StartGroup as a trustworthy partner in Spain with its other types of regulations other than in our homeland. Ester and Jon Ådalen, Sarpsborg. We thank StartGroup and Jennifer Fogelberg for an excellent job well done. She had earlier that same year helped them buy their dream villa in Calahonda. We agreed on a tour for viewings in December 2013, where we were warmly greeted by Jennifer and her structured viewing program for those days that were allotted. She guided us through 16 apartments of varying location and facilities. Eventually we found the place we wanted to establish ourselves and that was in Riviera at Golf Gardens. 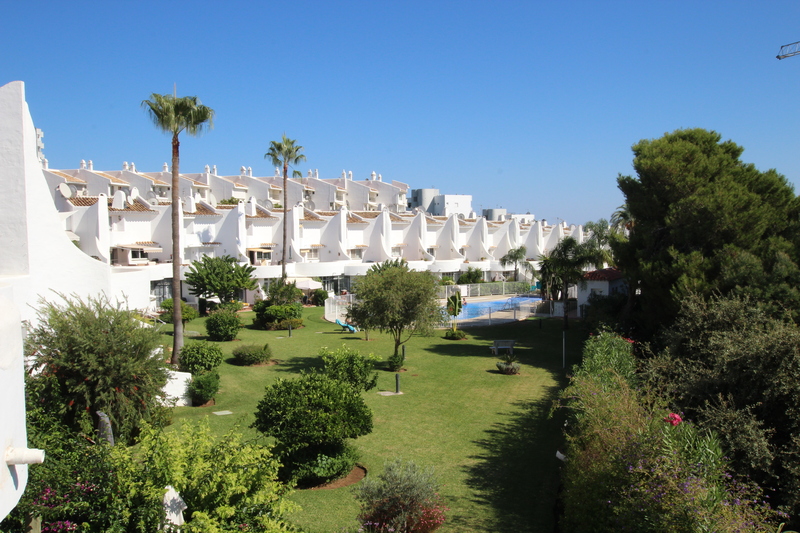 A wonderful apartment with spacious rooms and beautiful terraces in an established residential area built in 2005. The agreement was drafted and lawyer Brit Johansen was contacted for the completion of all the formalities. Spring 2013 my wife and I took contact via email with real estate agencies on the Costa del Sol when we were considering buying an apartment. We had contact and viewings with several real estate agents, but the best response and service we received was from Christofer Fogelberg at StartGroup in Calahonda. He quickly understood what we were looking for and it was not long before we had our “Dream townhouse”. The place fit all of our expectations with respect to location and cost, but needed rehabilitation. Being responsible for several large public developments and my own projects, I was in doubt about how a townhouse in Spain could be rehabilitated in a good way remotely from Norway. Christofer took care of this also in a very good way. Application process, negotiation with contractors, materials, photo documentation from the construction process and financial settlement was clarified and arranged via email by Christofer. After 1 month of skilled craftsmanship, led by Christofer, we are now owners of a magnificent newly renovated vacation home in Calahonda. StartGroup can be strongly recommended! 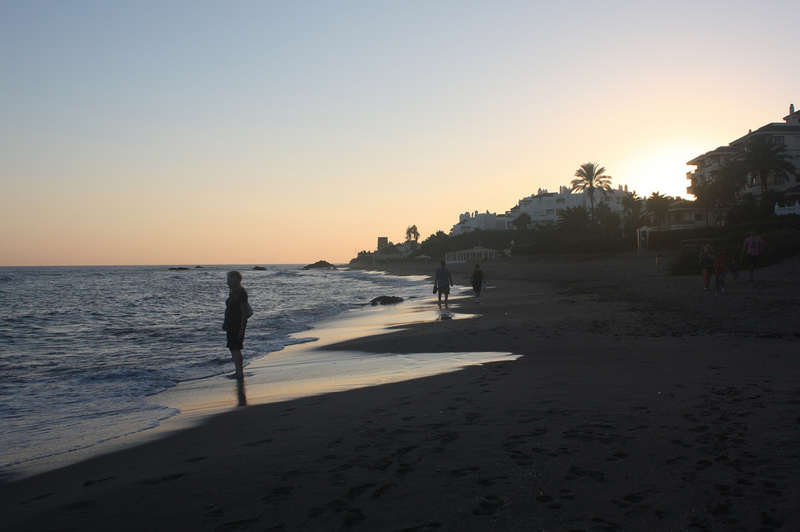 During 2012 we were planning to purchase a holiday home on the Costa del Sol, and our dreams and hopes were extremely high. Thanks to you our holiday dreams were fulfilled and we have already had some great trips to our new home. When we started our search for our family holiday home, and a place to spend the winters, we had a long list of criteria to fulfill. We spent several hundred hours on the internet searching for our dream home. When we had a full file of properties that we thought would be interesting, we had the most enjoyable task ahead – to go and see them! We contacted a lot of different estate agents and booked viewings. The response was very varied and your reply stood out from the mass! A quick and positive reply, with questions about what we really were looking for. Your willingness to help us to find the right property was transparent from the very start. When we got closer to the time of our trip to Spain, your property details were in the front of the file and included in our “dream selection”. We were a family looking for a house or an apartment with a lot of sun which could work as a second home. Our gut feeling told us make the first appointment with your company and Jennifer, and we are very grateful for that today. Jennifer provided the service and looked after us in exactly the same way, that she had done from the very start, when we were still in Norway. The first property that Jennifer showed us, is the one we are happy owner of today! We had chosen three different locations on the coast and we wanted to explore the different areas: Jennifer picked us up at the hotel and showed us the different areas – and after two days we were certain that Start Group was the company for us. Jennifer had informed us that they have a collaboration with the Norwegian law firm Cramer Abogados, Britt Johansen, and as we did not know much about property law etc in Spain, this was a very good alternative. Thanks to Jennifer, Christofer and their collaboration with Britt Johansen, we are now happy owners of the property we had dreamed of. Everything was very organized, the first class service was always the focus before, during and after the sale. They have organized NIE-numbers, contracts, wills, bank-accounts and all other necessary papers for water, electricity and community fees. Thank you very much to you!!! When the time came to buy our own property, we first drove around to find the areas we liked. We searched the internet and found several interesting properties on the website of StartGroup. So we went to Start Groups offices in Calahonda where We were well received. After being shown several properties We fell for a townhouse with a stunning sea view – but it needed a lot of work. – That is not a problem, said Christofer from Start Group, we can organize the renovation for you.” And that is what happened! After a few problems from the vendors side – that the agency sorted out in a great manner – we signed the deeds in October 2012. Then We started the refurbishment! The only thing We did was to choose the materials, tiles and designs. Start Group did the rest. They got the workers in and followed the work through, We were sent photos of the progress and the odd question by email. Now the house is almost completely reformed and We are thrilled! Everything was done professionally and finished on time! We couldn´t have done such a big job without all the help We got. 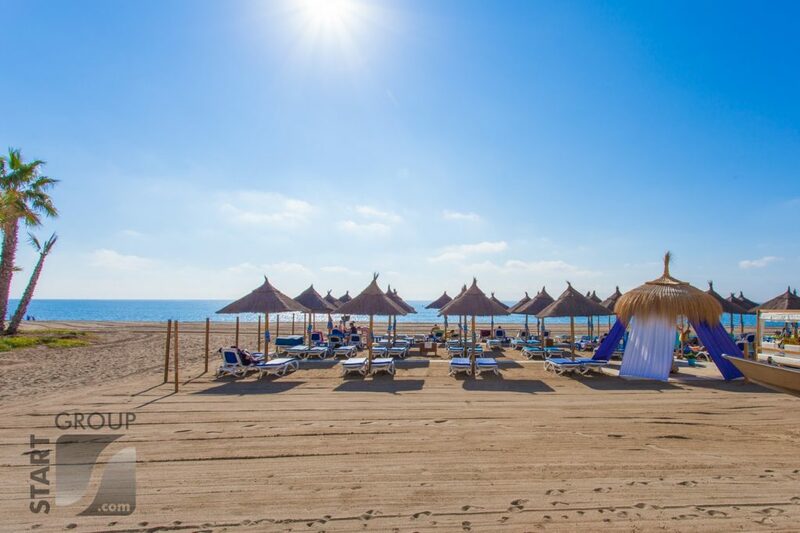 After our experience We can really recommend Start Group to anyone buying a property on the Costa led Sol! I bought my property in Calahonda from Start Group in the autumn of 2012. I was in contact with Christofer Fogelberg who helped me with everything and my experiences with Start Group has only been positive. Christofer was very service minded and the company had a vast knowledge of the area and the local property market. I have gotten a lot of good advice on the way. I was also impressed by the fact that the service didn´t end after the sale was completed. Afterwards I have received a lot of help from Start Group, for example to contract internet, to get the apartment redecorated and more. It feels reassuring to get help locally when you are far away. I have been working within real estate myself for many years in Norway and I have rarely experienced such a professional pride as I have received from Start Group. They have always been very professional and friendly and I feel that all my questions were properly answered from the beginning and that my best interests were always looked after. As there are big differences between the property market in Norway and Spain, I feared that it would be difficult, but with Start Group as my agent everything went smooth and it was a pleasant journey for me. Based on my own experience I can strongly recommend Start Group and Christofer Fogelberg to anyone looking for a property. Thank you for a very positive experience! We found the right Estate Agent for Calahonda: StartGroup! At the beginning of 2011 we contacted various real estate agencies in Spain. We were on the “hunt” for an apartment in the Calahonda area, but we were incredibly disappointed by the feedback we got, or rather the lack of feedback from all real estate agencies except Christofer Fogelberg at StartGroup! He immediately took contact us. By “email” together with Christofer, we considered different apartment prospects according to our wishes! In May of this year we agreed to go on a tour to view apartments! Christofer was very well prepared when he met us and presented us with various options within the price range we wanted. After “countless” apartment viewings, we found our dream apartment! All that was left, was to write a contract and go back home to Norway! We have never been in doubt that we chose the right real estate agent with Christofer Fogelberg at StartGroup. We can recommend him without any hesitation! The Britt-Marie and Odd Haga family, Haugesund, Norway.